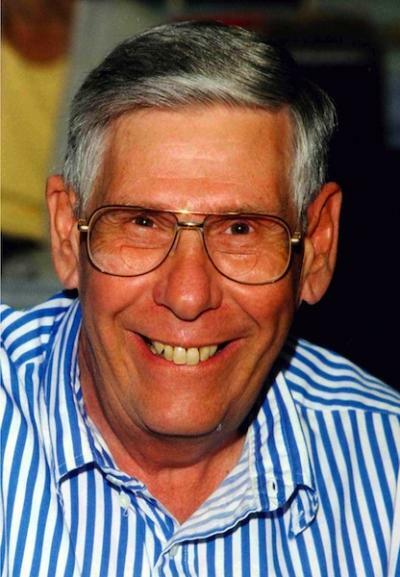 Roger Warren Vorbeck, 78, of Glencoe, died Saturday, Sept. 19, 2015, at Glencoe Regional Health Services. Casket bearers were Christopher Olson, Aaron Templin, Amanda Templin, Sam King, Rob Cole and Dusty Karstens. Interment was in the First Evangelical Lutheran Church Cemetery in Glencoe. Roger Warren Vorbeck was born March 27, 1937, in Hutchinson. He was the son of Samuel and Ruth (Tews) Vorbeck. He was baptized as an infant in April 1937 by the Rev. Schulze at Peace Lutheran Church in Hutchinson, and was confirmed in his faith as a youth in 1951 by the Rev. Koehler, also at Peace Lutheran Church in Hutchinson. He attended Hutchinson High School and graduated with the class of 1955. On Sept. 7, 1957, he was united in marriage to Marilyn Edith Schuette by the Rev. Bode at First Evangelical Lutheran Church in Glencoe. They made their home in Glencoe, and were blessed with two daughters, Wendy Kay and Stephanie Jo. They shared over 58 years of marriage. Mr. Vorbeck owned and operated the Vorbeck Shoe Store in Glencoe for 32 years and drove school bus for Glencoe Public Schools for 21 years. He was a member of First Evangelical Lutheran Church in Glencoe, being involved in the church building committee and also serving as a deacon. He also was a member of the Glencoe Jaycees, United States National Guard and a Rotarian. He enjoyed golfing, fishing, playing cards, horses and horse racing. He cherished the time spent with his family, especially his grandchildren. He is survived by his wife, Marilyn Vorbeck of Glencoe; children, Wendy Kay (Jeff) Templin of Bemidji and Stephanie Jo (Ben) Olson of Owatonna; grandchildren, Amanda Templin, Aaron Templin and Christopher Olson; nephews, nieces, other relatives and many friends. He was preceded in death by his parents, Samuel and Ruth Vorbeck; and brothers, Milan Vorbeck and Donald Vorbeck. Arrangements were by the Johnson-McBride Funeral Chapel in Glencoe. Online obituaries and guest book are available at www.hantge.com.